The Nithya Yoga Calculator will provide you knowledge about the appropriate yoga for your place of birth. This will use the necessary calculations to discover the precise and appropriate placement for you. The Jyotish astrology reading will give you much useful information and will allow you to move forward more easily in your life as you will be aware of some of the skills that should be native to you. It is always beneficial to work toward strengths. Within the framework of Vedic astrology, the yoga when you were born is indicative of your talents and your disposition. Being aware of Nithya Yoga can make clear your full nature as a person. In 2014, the more we know about ourselves, the easier it is to function within our current rather harsh society. It seems that it is necessary at all times to put one’s best foot forward, and self-knowledge helps in doing this. If you know you were short tempered then you know that you should be careful not to lose your temper. If you know you are hyperactive, you know that you should not get too sentimental at the wrong time. So it can be helpful in your functioning in day-to-day life. The Nithya Yoga reading gives one, data about the governing yoga at your time of birth. The Nithya Yoga for an individual born October 1, 1955 is Virdhi. This means that the yoga is vriddha, which means growth. Life gets better as one gets older. A native under this grouping will be bright, resourceful and discriminating. The next element given in this reading is the Nakshatra details. For this person it is Uttara Bhadrapada. This is quiet and the zodiac from 3° 20 inches to 16° 40 inches. “Warrior Star” is the name for this star and it is also called “Gama Pegasi”. This Yoga is ruled by Saturn, and leads to progression and affluence. 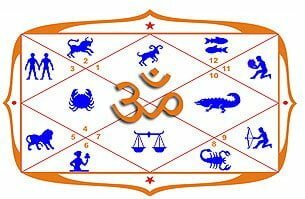 As you can see when you do a Nithya Yoga reading, you get a great deal of information about the individual, and how they are ruled in astrological terms. The actual calculation to determine the Nithya Yoga is dependent on the longitudes of both sun and moon. The calculation adds together the longitude of the sun and moon which is then divided by 13° and 20 minutes. This represents the various divisions of the zodiac under Vedic astrology. For each of the Nithya Yoga, the individuals born in that yoga will have specific personality characteristics. As an example, those in the first yoga are interested in the occult, while those in the second Nithya Yoga would be addicted to work. So you can see that the Nithya Yoga Calculator could be a very helpful tool in knowing your best skills and avoiding those things that you cannot do well.